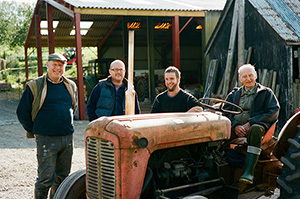 We are a 6th generation family cider maker from Ledbury, Herefordshire - the cider capital of the world! 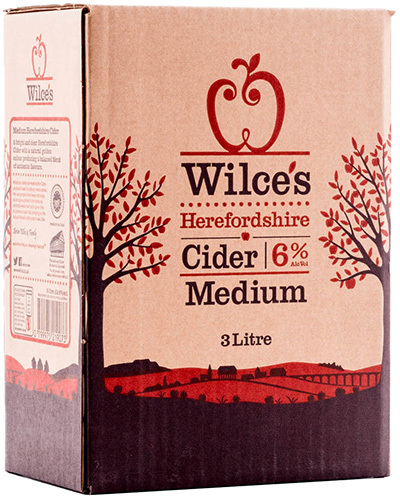 We have over 34 genuine Herefordshire cider apple varieties to choose from to blend the final cider - each one fermented separately and blended by taste. Fruit picked from the trees when it is at its ripest amd naturally fermented with no added yeasts or sugars. Craft cider at its best. Our process is simple - we pick the apples, wash them, squash them, ferment them, blend them, filter them, pasturise them. 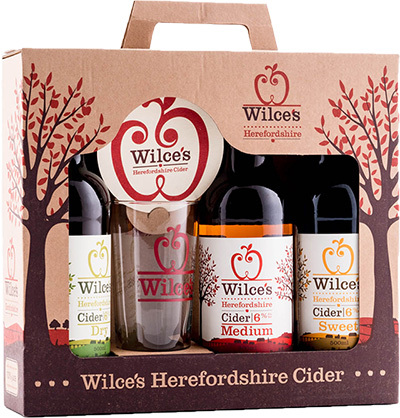 Our complete range of Herefordshire craft ciders, apple juices and cider vinegar. Available in 20litre and 3litre bag-in-box. Gently carbonated in both 9 gallon kegs and 500ml glass bottles. 100% pure apple juice available in 10 litre and 3 litre bag-in-box and 250ml glass bottles. Three bottles, a branded glass and a cider mat make up this perfect gift. Copyrights © 2017 All Rights Reserved by The Ledbury Cider and Juice Company Ltd.